MyFit Mod enables you to craft and wear the MyFit, a tool that helps you to enhance your performance through statistics. The more times you do something, the better you get at it, giving you better buffs. However, the only way to receive these benefits is to craft and wear the MyFit. Once you have the MyFit on, it will start tracking your stats. The more you walk/sprint. the more speed you will get. All effects given by the MyFit are permanent unless you take it off. 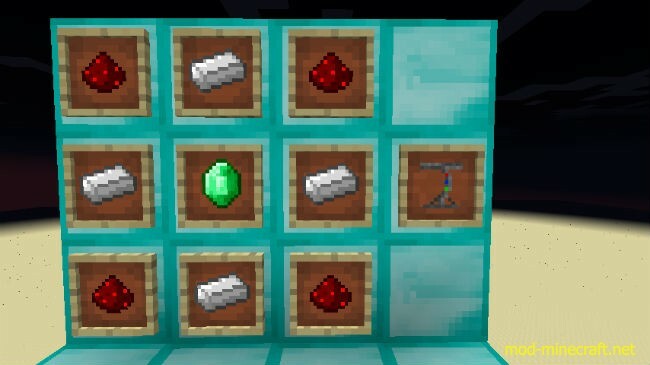 Jumps give you jump boost, more mob/player kills give you strength, the more damage you take the more resistance you get, and finally, the longer you are on your Minecraft world, the more haste you get. 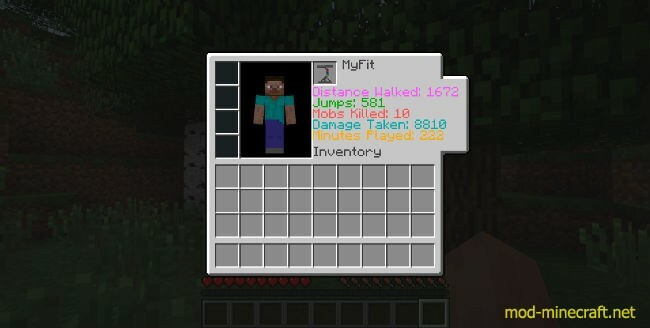 There are also toggle switches on the left of the MyFit menu, where you can turn certain buffs on/off. If you get one level of every stat, you get Health Boost 1! This continues to 3 (e.g. you get two levels of every stat you get Health Boost 2! You can also create a MyFit Extreme. This adds four new buffs. Three of these can only be obtained once no matter how much of the stat you get. Remember that only the MyFit Extreme tracks these four buffs, the MyFit won’t. If the MyFit is not loading your stats and no tooltip appears when you hover over the item, right click it to make the MyFit reload and/or bind its stats to you. If the stats are not loading when you hover over the item (e.g. when you take it out of a creative menu or shift-click from the crafting table), just right click and it should re-load all the data. If you get one level of every stat (on the original MyFit), you get Health Boost level 1! This continues to 3(e.g. you get two of every stat you get Health Boost 2)!